In the year 2000, Piet saw a yurt at a festival. He came home with enthusiastic stories about it. In the meantime, the enthusiastic impression which the yurt had had on Piet also had an effect on me. He eventually built the first yurt in our small workplace behind our house in Oudeschild. This was during a number of crisis years in our relationship. The yurt was finished in 2003. It turned out to be a large yurt. We ‘lived’ in it for the first season to experience how this was and what we wanted to do with the yurt. Financially, times were hard as the yurt turned out to be more expensive to build than intended. The yurt was rented out in Jaap’s orchard. 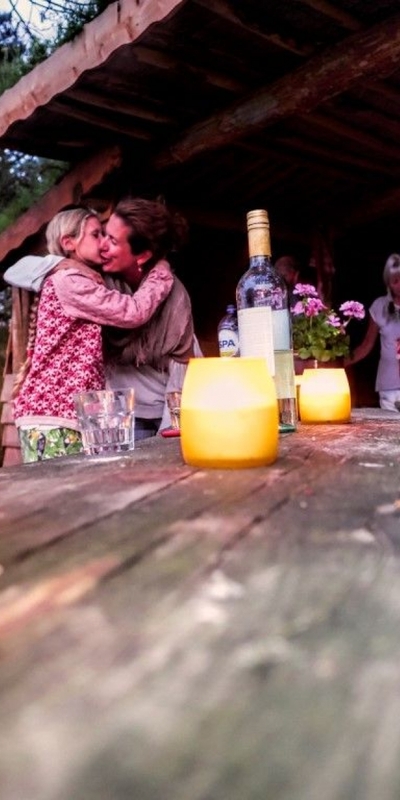 Unusual accommodation was becoming popular and a reporter from the newspaper ‘Trouw’ came and stayed for a night…this was a success and the bookings began to take off. 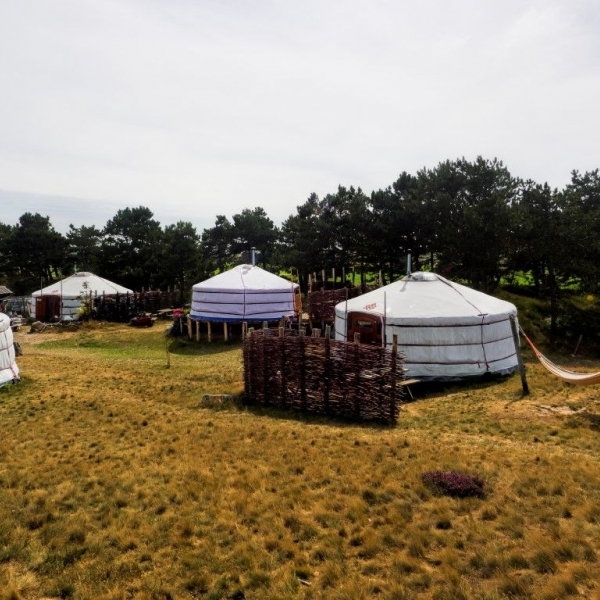 During these years in the orchard, we rediscovered the original Mongolian yurts. We realised that it was no coincidence that these original tents have remained the same for over 3000 years. Everything is functional, nothing is excessive. Not only in practical terms but also in a deeper sense. 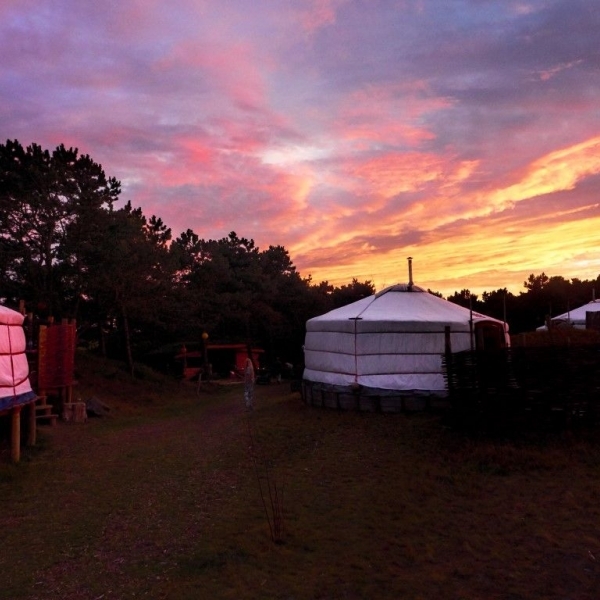 You come to understand how, and why, the yurt is built as it is: with traditional techniques and without screws. This is more convenient during the yearly building up and breaking down and also makes the structure better able to withstand storms. The yurts are also full of character. 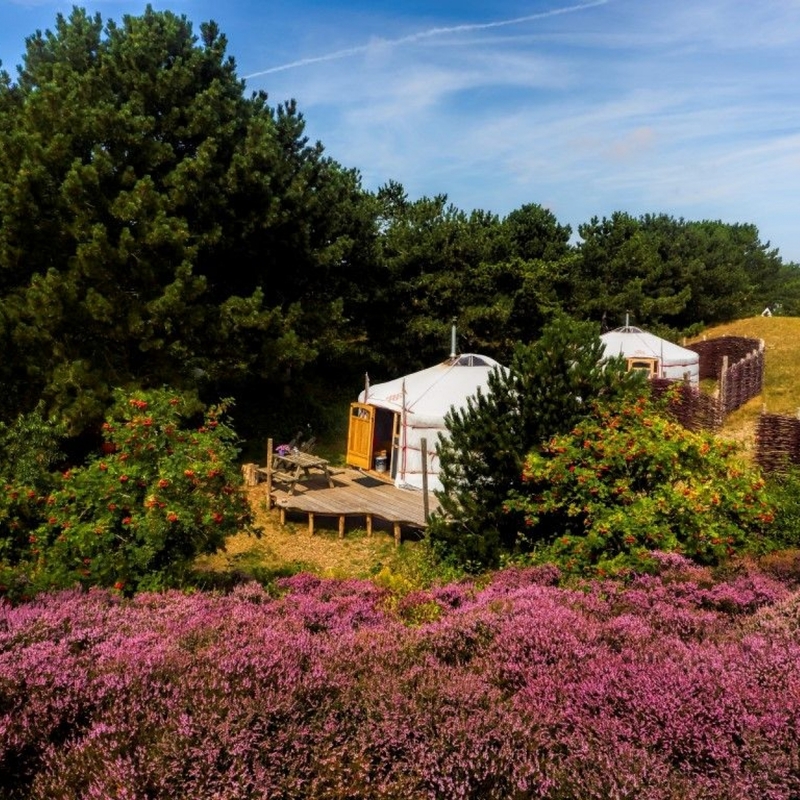 In 2007 we found ourselves at the campsite Loodsmansduin with four original seven metre yurts. 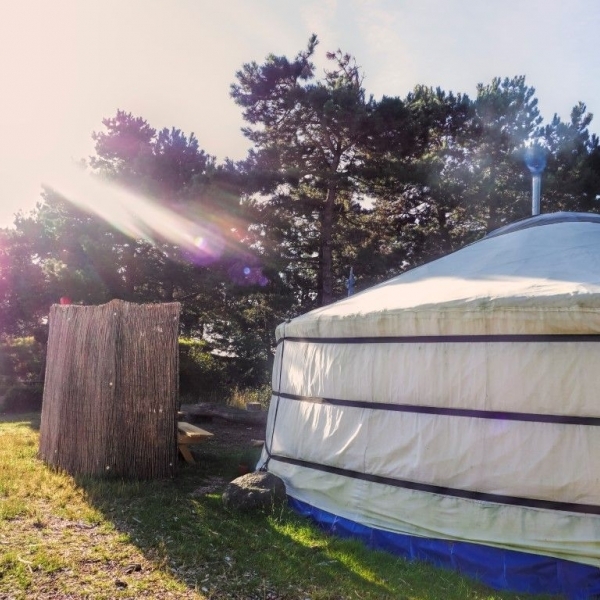 The following year, our home-made yurt was also moved here and in the same year we added four six metre yurts and a five metre yurt. In this way, on our rented area of land on the campsite, we could build a beautiful fence, make a gate and…we had our own place. Since then we have sold our house, are living permanently in the yurt all year round and we are happy with our choice. We are becoming more and more conscious of unnecessary belongings and want less and less possessions, and those things we do have or buy have to be of good quality. Yurt life is a very direct exchange. 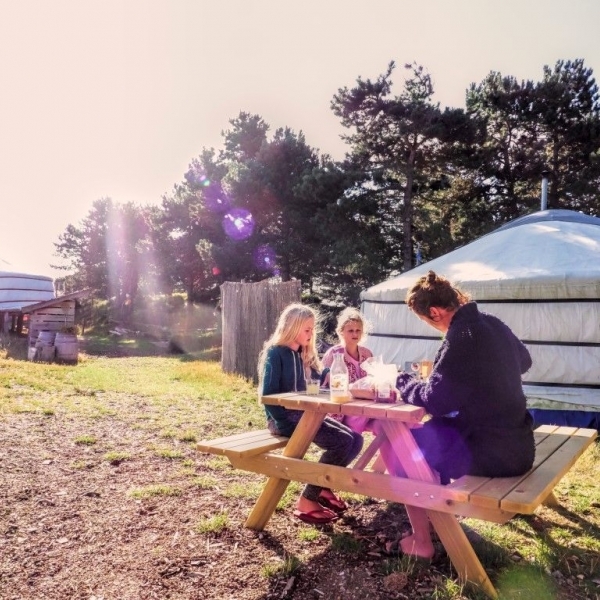 You look after yurt well, then yurt will look after you.